In 2016, the annual growth of retail sales volume of cosmetics products in China witnessed an increase of 8.3%, while the sales volume of cosmetics and personal care products on JD.com saw a much higher growth of 102%. China is a huge market with tremendous potentials for the fashion and cosmetics industry. Nowadays, Chinese social media has become the battlefield for brands to reach out and sell to their target customers. 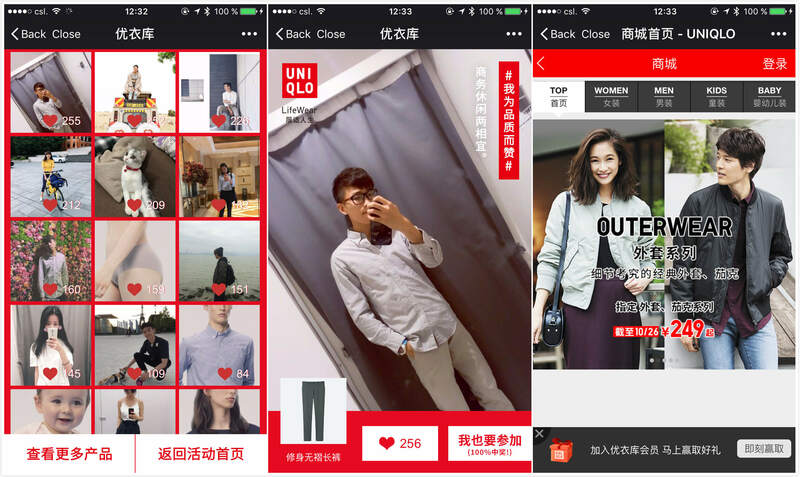 More and more fashion and cosmetics brands have already established their presence primarily on WeChat and Weibo. 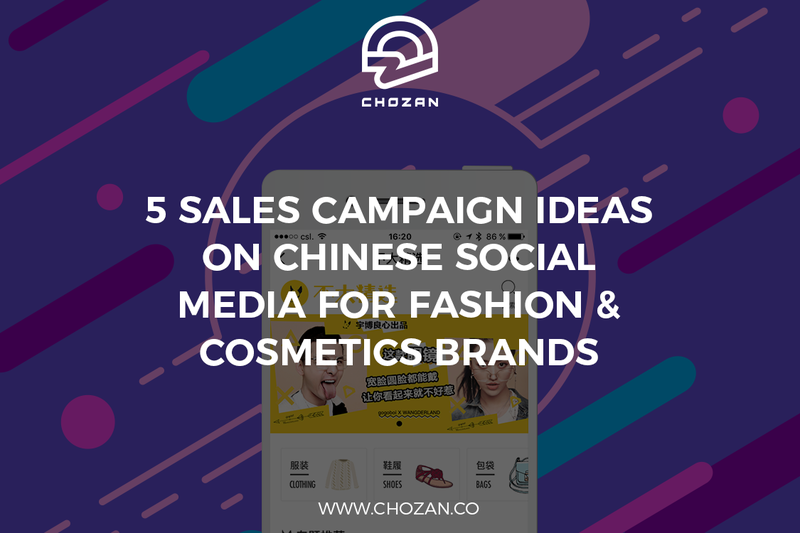 Today, we have summarised 5 sales campaign ideas for fashion and cosmetics brands who would like to target customers in mainland China and get results primarily on WeChat. This is the most common type of KOL cooperation on WeChat. KOLs write product reviews, provide usage tips, include sales information or merely repost content provided by the brand. Brands often sponsor KOLs for lucky draws or giveaways to increase user engagement. Purchase links can also be added so that interested readers can purchase items easily after reading an article. 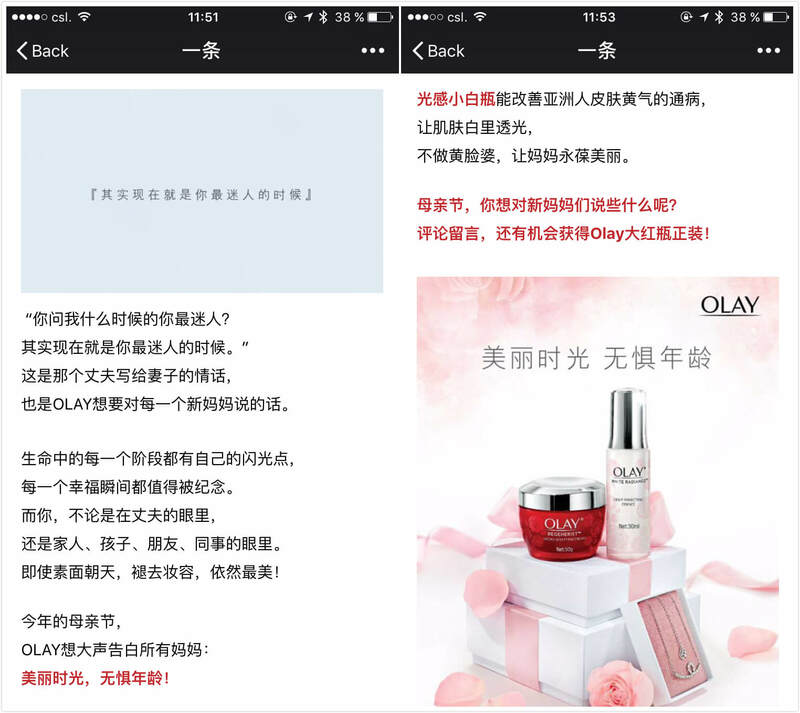 Olay launched a large Weibo campaign on Mother’s Day this year to promote its gift package. 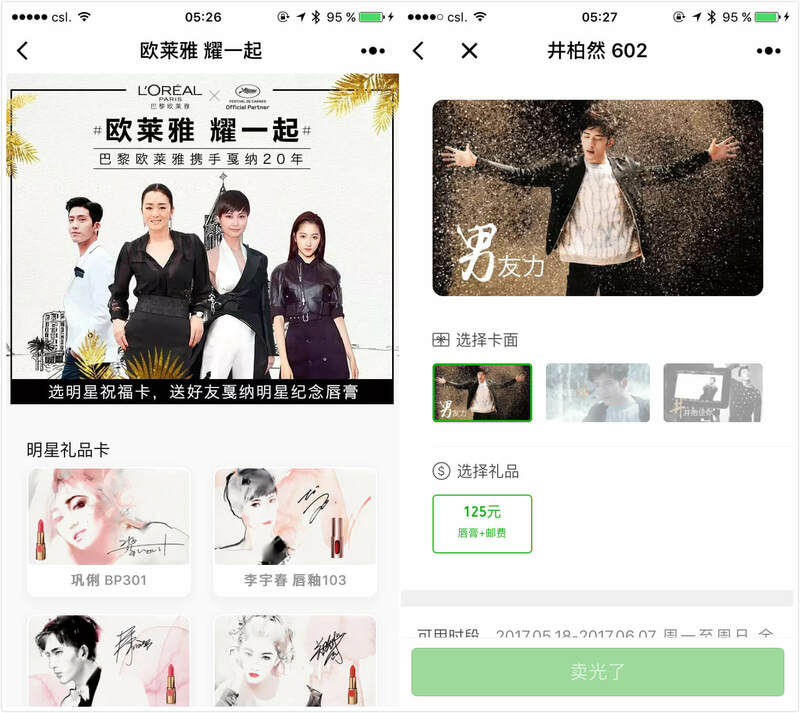 The skin care brand also leveraged several large KOLs on WeChat for more in-depth promotion. Olay selected seven large KOLs in different industries and with different specialties, including Yitiao (一条; short video production), Lokwooo (乐活记, lifestyle content), kawo01 (卡娃微卡, emotion-related content) and fashion media like SELF and rayli.com. In this way, Olay got promotional articles from different angles so that different audiences were covered. Moreover, Olay used a smart timing strategy. These KOLs were asked to publish their own articles one by one from May 9th to 14th, so that the campaign period was extended to keep constant exposure on WeChat. Meanwhile, users had enough time to notice the campaign and purchase items or spread the word. As a result, their WeChat articles accumulated over 100,000 page views, and over 45,000 gift packages (398 RMB per package) were sold on Olay’s online store on Tmall. 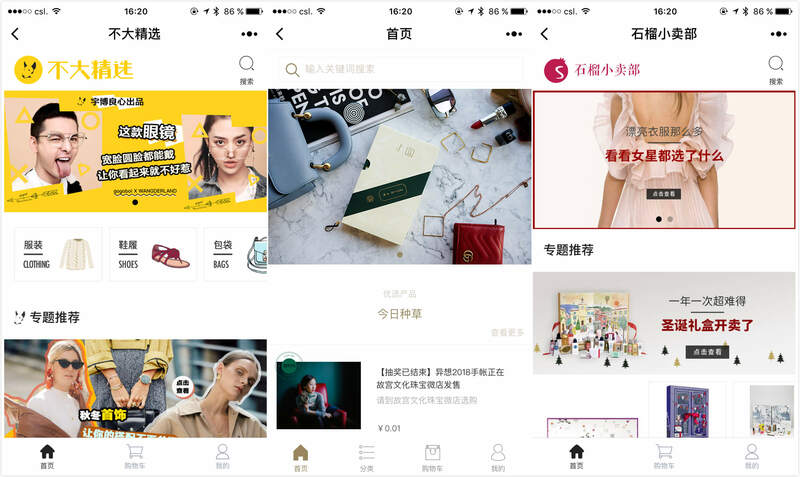 Recently, more and more fashion KOLs have opened their own WeChat stores or mini programs for e-commerce purposes, including Gogoboi (Store name: 不大精选), Becky Li (Store name: 种草好物馆) and Shiliupo (Store name: 石榴小卖部). 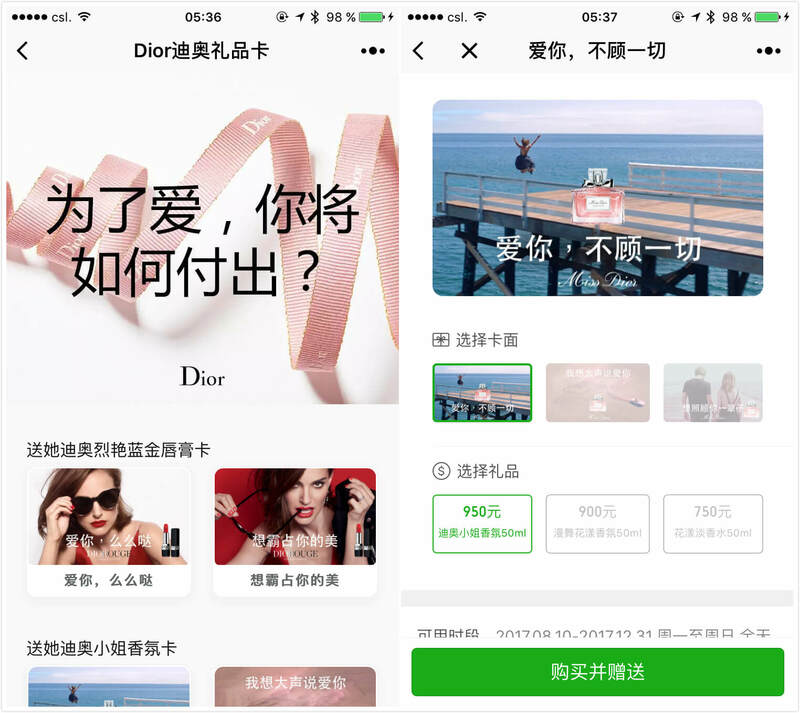 Brands can offer special editions of their products in KOL WeChat stores. Recently, Becky Li, the fashion blogger who sold 100 Mini Cooper cars in 4 minutes, released her new e-commerce mini program. The first item she promoted was a co-branded 2018 Fantasy Notebook with Oriental Royal Jewelry (故宫文化珠宝). Becky launched a flash sales campaign, where users paid 0.01 RMB for a lucky draw ticket. The ticket number showed their payment order. 25 of them who got a special number (1, 10, 20… 50, 100, 200… 900, 1000, 2000… 10000) received a 2018 Fantasy Notebook for free. The 10,000 lucky draw tickets sold out quickly. Coupons and vouchers are influential purchase incentives and WeChat Moments ads have an option for brands to distribute coupons and vouchers. This helps brands achieve better marketing results thanks to more accurate user targeting. Fashion brand GAP shows us a great example of using Moments ads and vouchers in its sales campaign early this year. 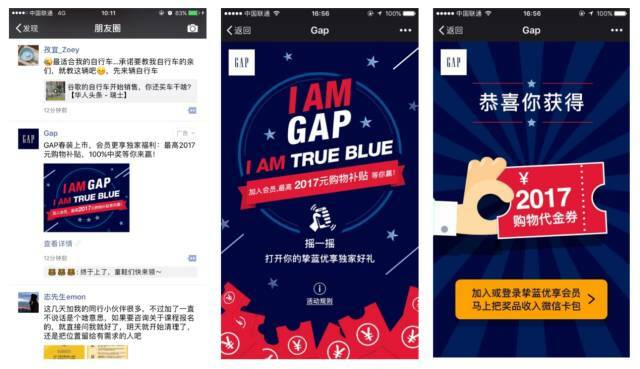 In February, GAP launched a Moments ad which users could click to collect a voucher worth 20.17 to 2017 RMB as well as a membership card for use in brick-and-mortar stores. The campaign was a huge success as 60% of WeChat users who had seen the ad actually collected the voucher, and 26% of those who had collected the voucher actually purchased in offline stores. The ROI of the campaign exceeded 200%. 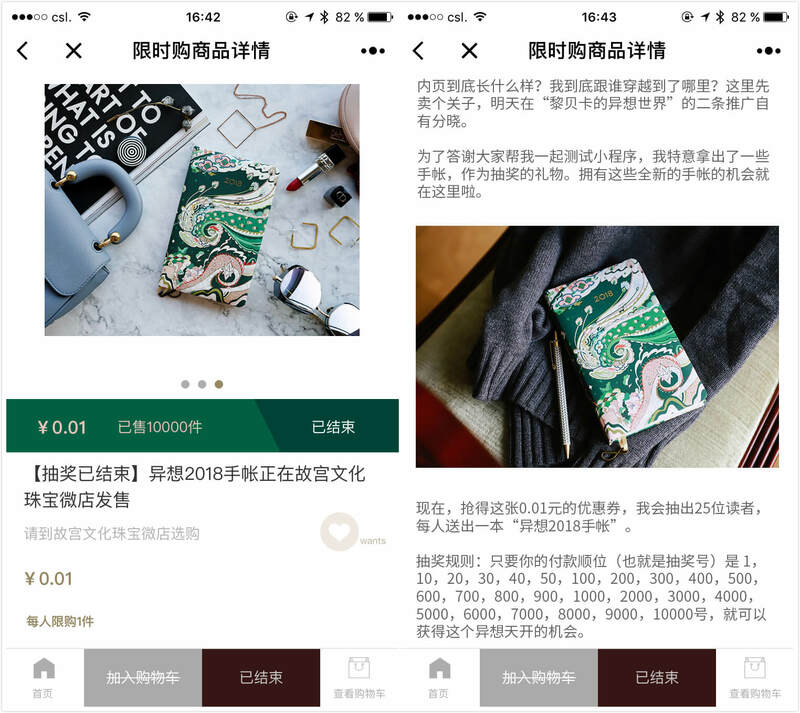 GAP successfully converted potential online buyers into offline customers within the WeChat ecosystem – users finished the whole purchasing process from voucher collection to final checkout (using WeChat Pay) within WeChat. Encouraging users to collect membership cards helped them build a large customer database. With this database, GAP can nurture long-term relationships with these people and enhance their brand loyalty. L’Oréal smartly leveraged the celebrity effect. Celebrities are fashion trend-setters who definitely drive sales when they represent a brand thanks to their large number of fans. Early this year, Estée Lauder engaged Yang Mi, who plays the heroine of the popular TV series Eternal Love (三生三世十里桃花), to be their brand spokeswoman. They produced a special edition lipstick under her name and launched a UGC campaign on Weibo showcasing a makeup style featured in the TV series. As Yang Mi is one of the top actresses in China, the collaboration between her and Estée Lauder was a huge success. Female customers are undoubtedly the force behind the fashion and cosmetics industry so most brands launch their sales campaigns on special days for women like Women’s Day, Mother’s Day, May 20th, and the Qixi Festival (Chinese Valentine’s Day). In fact, for the Qixi Festival in August, Dior also launched its own gift card mini program for customers to purchase perfumed lipsticks for their loved ones. This also creates incentives for male customers who want to buy presents for their wives, girlfriends or mothers on these special days. This makes gift cards a special feature that combine social connections and e-commerce. Weibo: Since it’s open and public, it’s the ideal platform to use when brands want maximum exposure and widespread influence. WeChat: As a semi-closed platform, it helps brands achieve a more intimate level of engagement. For video campaigns, Miaopai, Meipai and Bilibili are the most popular video platforms. Some camera apps that offer special stickers are also brands’ favourites, like FaceU and B612. Brands can cooperate with the app and launch special stickers for users to add on their pictures. Then users can upload these pictures on Weibo to help brands earn exposure. As for content, it’s better to collect visually-oriented material like simple pictures or short written posts because they don’t take too much time to make and it’s easier for users to participate and share. Since early this year, WeChat has been releasing more and more advanced features for mini programs. Now WeChat allows developers to add multimedia content in their mini programs. 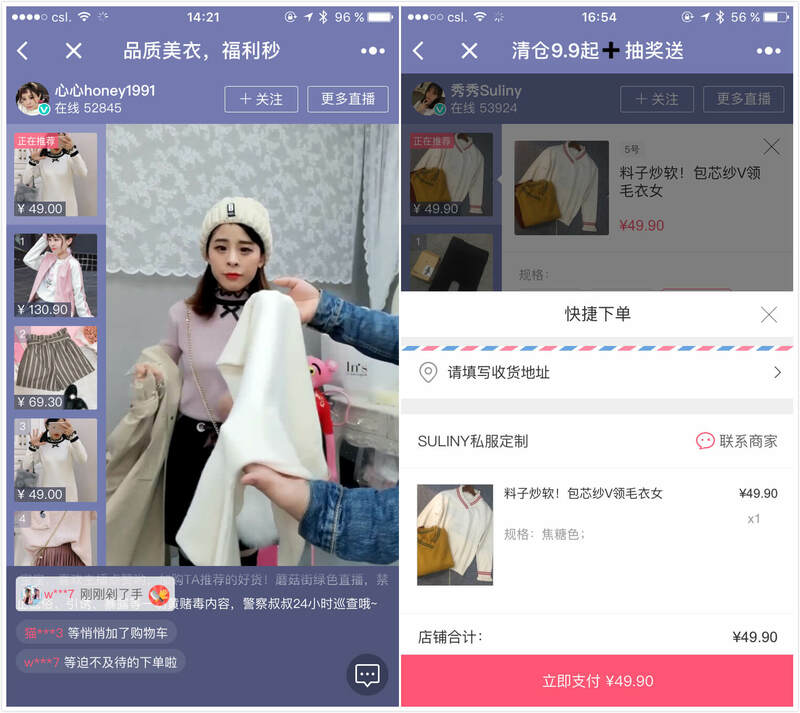 Mogujie (蘑菇街), a social commerce app where fashion products are sold, launched their own mini program that allows sellers to host live streams and sell in late July. In this mini program, sellers launch live streams to showcase the clothes and accessories they sell. If viewers are interested, they can select the items on the left, make an order and finish payment within the mini program giving it a “See now, buy now” feature. Flash sales campaigns can also be launched. According to an interview with Mogujie’s project director, it only took about three weeks to develop and finally launch the mini program for live streaming. 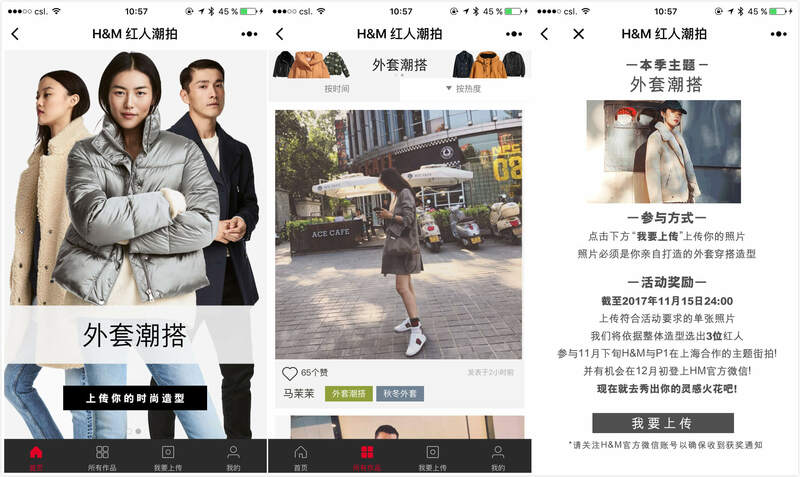 This means most brands’ can launch their own mini program for both live streaming and e-commerce as an option to boost sales on WeChat.